Our hoses take the pressure. Guaranteed. 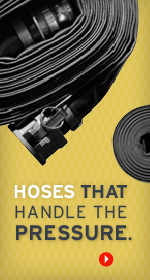 Apache hose products are made to withstand the toughest challenges. We source our products from the industry’s top suppliers so we’re able to deliver the highest quality products, customized to your particular application. We pride ourselves on developing robust hose programs for all our customers. We’ll help you evaluate your needs and determine the right product – ensuring customer satisfaction, as well as safety and correct application. Our premium hoses and coupling solutions ensure our customers excel in a competitive marketplace. Our products perform under pressure — so do we. Our technicians are trained to NAHAD guidelines and follow vendor-certified processes, and our production facilities maintain ISO certification. This allows us to consistently deliver the highest quality hoses customized to your specific application. Product expertise and technical knowledge set us apart, allowing us to deliver robust hose programs for our customers. Apache provides a complete line of hose accessories in the agricultural, consumer, and industrial, getting our customers the top quality products they need.